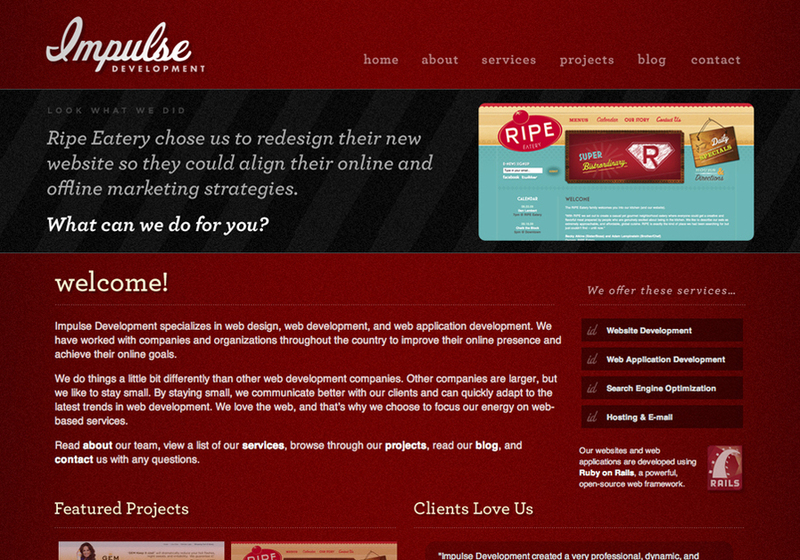 Impulse Development specializes in web design, web development, and web application development. We have worked with companies and organizations throughout the country to improve their online presence and achieve their online goals. We do things a little bit differently than other web development companies. Other companies are larger, but we like to stay small. By staying small, we communicate better with our clients and can quickly adapt to the latest trends in web development. We love the web, and that’s why we choose to focus our energy on web-based services. We build websites and web applications using Ruby on Rails. We also integrate our websites with a custom-built content management system.